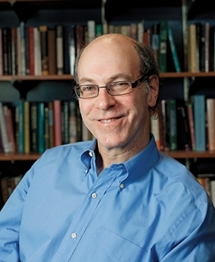 Gordon Hutner is a professor of American Literature at the University of Illinois, where he directs the Trowbridge Initiative in American Cultures. Professor Hutner is the author and editor of several books in American literature and culture, including What America Read: Taste, Class, and the Novel, 1920-1960. His most recent publications include the second volume of his anthology of immigrant narratives, Immigrant Voices and a collection of essays, coedited with Feisal Mohamed, A New Deal for the Humanities: the Liberal Arts and the Future of Public Higher Education. He is also the founding editor of American Literary History, now in its 28th year. Hutner also edits the Oxford Series in American Literary History, monographs exploring the dimensions and contours of contemporary literary historiography. He is currently writing a book on 21st century US fiction. This event will take place on Tuesday, September 6 at 4:00pm in Tribble Hall, Room C216.